In 1955 Ilmari Tapiovaara, a remarkable specialist in chairs and furniture, undertook a project to create a lamp. His source of inspiration at the time was Maya the Bee (German: Die Biene Maja), a friendly character from a 1912 children’s book, known as Maija in Finland. The Maija collection is an expression of the feeling of light that is common in the cities of the Baltic: from the inside out. Tapiovaara conceived a column of small metal superimposed discs from which the light hangs out from a shimmering honeycomb, shrouded in warm life. The tripod on which the structure rests and the recesses that allow the light to disperse upwards are particularly striking. The discs were originally in a light pink colour, subsequently white was produced and nowadays Santa & Cole offers both alternatives. Tapiovaara stated: “It is impossible to create a new object without a point of reference. Nature is the best and nearest manual for industrial designers whether in terms of its function, in other words, functional requirements, or in terms of shape, colour, material and their arrangement in appropriate proportions”. 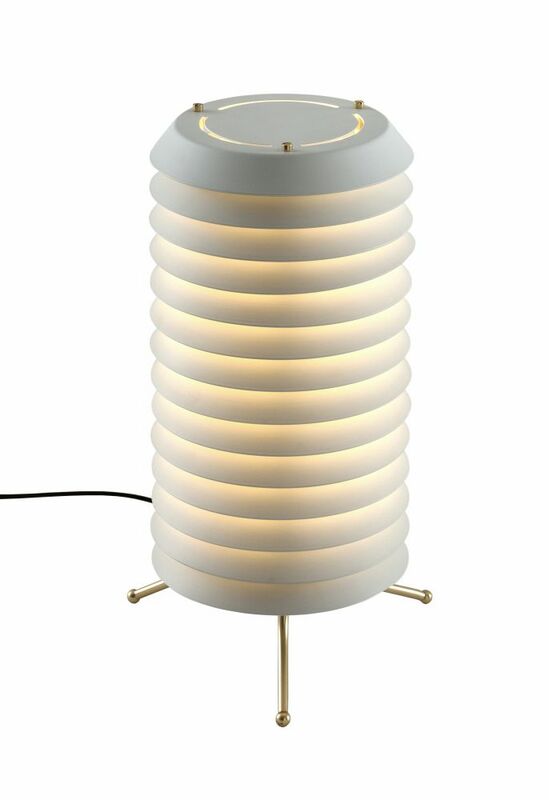 And so we present his only lamp in three different versions: the floor lamp, the table lamp and the pendant lamp. The Maija series is part of the Design Classics collection, a series of objects created at different times of modernism with the aim of putting forward critical discussion on creation in industrial design beyond mere trends.